Here’s another one from ‘Voices From The Past Vol 1‘ edited by Richard Rushing (BoT). 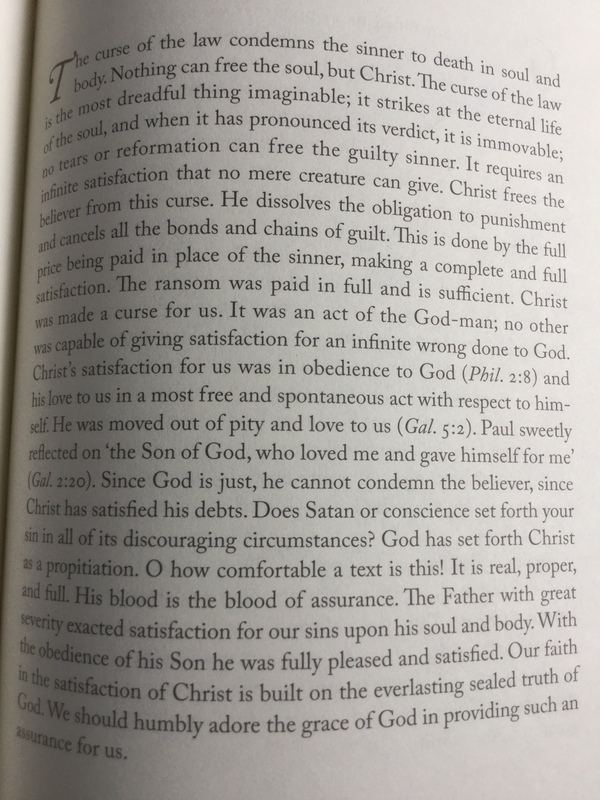 This is from 14th May and taken from the works of John Flavel (Works, 1:176 – 187). If I’m reading it right he’s distilled eleven pages down to one. The result is a beautiful summary of The Gospel that plainly states the terrible situation of the one outside of Christ but the wonderful security to the one in Christ. ‘The curse of the law is the most dreadful thing imaginable…. Nothing can free the soul but Christ’. And yet the dead sinner cannot see his predicament. Such is the blindness of man in sin. If you brush it of as mere religious dogma and are completely unaffected, please consider your situation. Call upon The Lord that He May have mercy on you. Posted on 15 May, 2018 15 May, 2018 by xercisedPosted in Books, GospelTagged Books, Gospel, Grace, Jesus Christ.